My post today is part of my friend Cat Alford of Budget Blonde‘s “Get Paid to Write for Blogs” course launch! Cat makes a full time income from writing for blogs, and this course will teach you how to do the same. I never thought I’d write Frugalwoods. Financial independence, early retirement, and our entire homesteading journey weren’t even on my radar a few years ago. And personal finance isn’t a lifelong interest of mine–I didn’t grow up as a math whiz (quite the contrary), or major in accounting (quite the opposite: English and political science), and I’ve never worked in a job even remotely connected to the field of finance (again, quite literally the other end of the spectrum). So why on earth do I write to you all about money every Monday, Wednesday, and Friday? Because I think that in many ways, money dictates our lives and to that end, you can either control your money or it’ll control you. I’m passionate about spreading the philosophy that a good life isn’t one where you spend a ton of money–it’s one where you spend on what’s meaningful to you and simplify/frugalize the rest. Discovering my passion for writing was transformational–I feel like for the first time in my life, I know what inspires me, motivates me, and what I deeply enjoy at a fundamental level. Doing what you want with your life is sadly a rare occurrence and I sincerely hope that you’re able to find the thing (or things) you’d do even if no one paid you to. My friend Cat of Budget Blonde (who came and stayed with us along with her husband and adorable twins in March) turned her writing into a remarkable business that she operates from home and uses to support her kiddos and husband (who is currently in medical school). She’s a dynamic beacon for what you can accomplish through a driven, entrepreneurial approach and I’m continually amazed by her successes in the field. I sincerely respect Cat’s work and her prowess in making writing her full-time gig. She is both incredibly successful and touchingly humble (the perfect combo in my book). Cat is a powerhouse in the blog-writing sphere and has generated something of a dynasty–all through her writing, networking, and business acumen. She has also been very kind and helpful to me as a fledgling writer and offered me advice numerous times when I’ve emailed her in a panic (usually late at night… usually with a lot of CAPS and !!!). If you’re interested in writing full-time, part-time (like I do for Frugalwoods), or employing writing as a lucrative side-hustle (trust me, there’s serious money to be made in this field), I encourage you to check out Cat’s course. Cat is offering Frugalwoods readers 15% off the total cost of the course (thanks, Cat! ), and you can access that discount through this link. In the course, she covers everything from the very basics of getting started all the way through how to pitch professionally, where to find jobs, managing a busy workload and rejecting clients, not to mention handy practical stuff like how to orchestrate your taxes, invoices, and accounts. I don’t promote many products on here because this isn’t a promotional, sales-y blog and I don’t like blogs that are, so rest assured that I’m only sharing Cat’s course with you because I believe it’s a valuable resource for anyone who wants to navigate the intricacies of online writing. Speaking of doing what you want in life… when Mr. Frugalwoods and I envision our existence on our homestead in a few short years, we cast ourselves in different roles across our little future domain. Mr. FW will undoubtedly be doing things with wood much of the time–chopping it, hiking through it, building things with it, measuring it, forestry managing it (if it’s still in tree form), and burning it (to heat our home). I’ll be gardening, canning, thinking of clever ways to make our lives more sustainable, and writing. Of course we’ll have myriad other diversions to keep us busy–like running our AirBnB cabins, playing with Babywoods in the woods (that name is getting very meta… ), doing yoga, cooking, and tending whatever fruit/syrup trees we happen to have. But for both of us, there’s a vocation buried in there that’s foremost in our minds and that’s almost always the first thing we say when people ask what we’ll be doing out there on the farm. For me it is, and always has been, writing. Sure, I can (and do) write anywhere–on airplanes, busses, at home, in the car while Mr. FW is driving–but I want to write in the serenity of our own woods. And even more crucially, I want to have the time to write, which is what early retirement will grant me. At present, my writing is crammed into the early morning hours before I go to work, the evenings (after my free yoga classes), and on the weekends, when it competes with everything else that comprises a life–grocery shopping, laundry, cleaning, household chores and maintenance, and our plethora of insourced tasks, which will only increase once Babywoods is on the scene. While this squeeze on my time has made me a faster writer, it doesn’t allow me to write anywhere near the capacity I’d like to. My life is littered with ever-present sticky notes containing story ideas, which I find trapped in all sorts of unusual places throughout the day. Fortunately, Mr. FW–who has never met a problem he couldn’t fix through technology–now makes me use Trello to organize my thoughts, which I must say has cut down on the drama of lost stickies. In many ways, writing is my calling. I’ve always loved it, I’ve always done it, and I even majored in English in order to, well, write more. But when I graduated from undergrad, I pushed my dream aside in favor of launching myself into a stable career trajectory. I don’t regret this decision because I’ve (mostly) appreciated my career and I’ve been fairly successful–the compensation side of which is what’s, in part (along with Mr. FW’s salary and extreme frugality), enabling us to retire early. Don’t get too excited, I don’t make tons of money, but I’ve always earned a decent income and I’ve steadily advanced over the years. So while I sometimes wonder why I diverged from my true mission right out of college, I’m also fully aware that the career I chose is a factor in forging the future I want. This is my way of saying that I think any decision has upsides and can be translated into facilitating your goals. When Mr. FW and I were at our lowest point of despair over our hectic, unfulfilling 9-5 city lifestyle last March, Mr. FW’s one piece of advice to me was to start writing. Thanks a lot, I thought. That’s some real actionable advice that’s going to improve my life (I said with no small amount of sarcasm). I asked him if he wanted me to just start some dumb blog. And yes, in fact, he did. As I’ve shared before, he’d purchased Frugalwoods.com unbeknownst to me and had it all set up. All it needed was my writing. Although I was pretty aghast and angry at the time–I think I said unattractive stuff like “you don’t know me! you don’t know that I can just start writing!” In truth, he does know me–better than anyone else in the world. And he knew this was the catalyst I needed to open the floodgates of my creativity. The first photo ever uploaded to Frugalwoods. Seems apt. And so, under much duress, I hesitantly started writing posts. And then, I wouldn’t publish them. Mr. FW bargained with me that I should just publish them because “no one would read them anyway.” This reverse psychology totally worked and I started publishing. And, sure enough, true to Mr. FW’s predictions, no one read them (I was too embarrassed to even tell our families). But then, slowly, over the next few months, people began reading. They even started commenting!! I had a near panic attack of excitement when the first person commented on a post. I felt sheer elation that someone (other than our moms) had read my writing and…. liked it! I about passed out. Once I got past my initial shock, I realized I was absolutely smitten. For me, writing is a self-feeding cycle–the more I’ve written, the more I want to write. With each topic I cover, I think of five other topics I want to address. And the feedback, suggestions, comments, emails, and inspiration I get from you all is amazing. Over the past year, our readership has blossomed and flourished–to the point where we double in size every few months. I adore having you all here and I’m honored that you choose to spend your time reading these words I plunk into a keyboard. As I think most regular readers know, Frugalwoods is the antithesis of a corporate or mega-blog. Mr. FW and I (with paltry assistance from Frugal Hound) are the only people behind the scenes. I write all these words myself, Mr. FW helps me edit, he manages our back-end and email systems, and together we reply to all of your comments and emails personally. 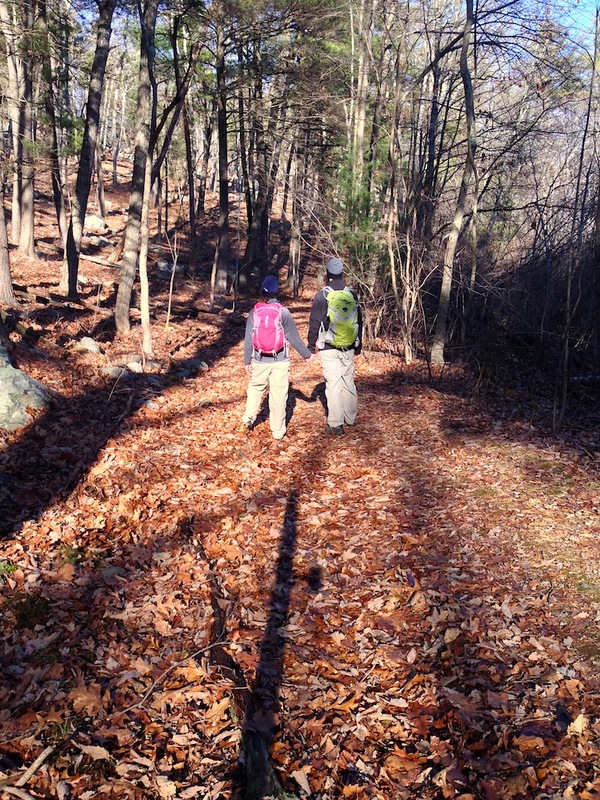 Mr. FW and I are engaged in a great deal of reflection lately (well, since getting pregnant really) about how we want the next two years until we decamp to our homestead to play out. While we’re not yet ready to make any final decisions or formal announcements, the possibility of me writing Frugalwoods full-time is certainly rattling around in our minds, encouraged in no small part by the successful path Cat has forged. Mr. FW and I call ourselves “inveterate tinkerers” (admittedly our terminology is ripe for improvement)–what we mean by this is that we’re constantly looking to tweak or improve or adjust or create greater efficiencies/avenues for happiness/frugality in our lives. We don’t approach life as a static, predictable thing–rather, we see it as providing endless opportunities for exploring new pathways. Remaining open to what the universe has to offer, and staying flexible in all things is our essential approach. 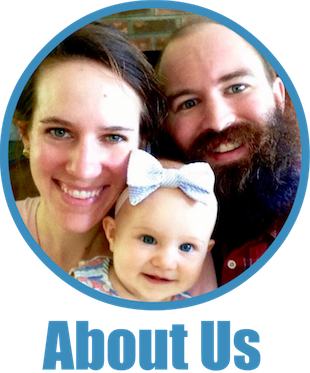 Frugality is what gives us the freedom to explore nontraditional vocations and it’s the root of our success and our options. Although we’d originally intended to both continue working our full-time jobs until our early retirement date of fall 2017, it’s possible we’ll recalibrate a bit now that we know when Babywoods will join our family (I’m due November 25th for anyone keeping track at home 😉 ). We’ve been planning and budgeting for her since long before she was conceived, but having the concrete timeline of her arrival date enables us to build greater specificity into our financial projection spreadsheets. What I do know is that I’ll continue writing Frugalwoods until I run out of thoughts to share or it ceases to be the fulfilling respite and font of creativity that it is for me now. I love writing for you and I love writing for me–it’s the best of both worlds and I’m deeply grateful to pursue this passion. And if you feel that writing could be your calling too, I encourage you to check out Cat’s course and see if you think you might benefit from it. Do you feel like you know what you want to do in life? Have you ever considered writing as a profession? Thank you so much for the kind and sweet words! Your support means the world to me! Also I’m so excited for yall and can’t wait to see that adorable baby girl! You are most welcome :). I am delighted to talk about how awesome you and your course are! That’s wonderful you’ve found a creative outlet through writing! It really is a lot of fun :). And, Cat’s course is definitely a good resource! I don’t know why but I find it quite amusing that Mr FW used reverse psychology to get you to start writing Frugalwoods. I’ve been reading since the beginning of the year and I can’t imagine not reading it. I read a lot of blogs but there are very few that actively hunt out to read during my lunch hour. So thanks for being a great source of entertainment and inspiration. I still have no idea what want to do with my life or where my passion lies. I have a degree in science but graduated at a bad time, just as the economy tanked. I had a fixed term contract with the NHS in the UK but when it ended I struggled. Like you, I moved away from what I studied for a more stable career in the civil service. I enjoy it well enough but it is a means to an end, I have no great passion for it. I’m always rather envious of people who are truly passionate over something – there are so many of us who have yet to discover them! 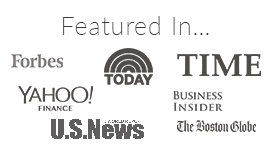 Thank you so much for reading and for commenting–I love it when folks say hi :)! I think it can take awhile to uncover what you’re passionate about. It certainly did for me. That’s great that you have a good job from which you can explore and plot your next move :). I love your writing and also really enjoy Cat’s as well. I understand the compulsion to write; I always wanted to be a writer but pursued a more “secure” career as an English teacher. Now I’m staying home with my kids and have done some freelancing. I think it’s great that you’re considering a change of plans after Babywoods arrives. Whatever you decide, re-evaluating rather than blindly charging ahead with a previous plan seems wise. We as your readers would certainly love for you to write Frugalwoods full-time! Thank you so much! I appreciate the vote of confidence :). Mr. FW and I are definitely proponents of continual re-evaluation and analysis–we’re always open to the possibility that we might be able to do things better/differently. That’s awesome that you’ve been doing freelancing while home with your kids! I’ve always enjoyed your writing, so glad it will continue. 🙂 It is amazing how many writing opportunities are out there and appears some good money can be made. I have always done some form of writing, comic books as a kids, screenplays in my 20’s and now personal finance. It my recent career bump it has certainly give me some time to reflect on what I really want to do going forward. That’s wonderful you’ve been able to do some form of writing throughout your life! And, those times of reflection really can be helpful in determining what we actually want to be doing. Aww, thank you! Way to make me blush ;). last year, fresh off being a finalist for a Plutus award, my husband and I went out on a rare date, celebrating our anniversary. Because we have two small kids and work together at the same company (and carpool), I wa a little worried we wouldn’t’ have much to talk about, so I printed off some questions to ask (from a blog!) and we had a good conversation. We learned a little about each other through those questions. One of them was something like “if you could be or do anything you wanted today, what would it be?” and my answer was in line with blogging. I really want my blog to reach people, provide a service, support folks who are going through rough financial times. I was struggling for meaning in life – and I don’t want my worth to be solely centered around my family. What will I do when I have an empty nest, after all? That’s an awesome question and I think one that everyone should ask themselves! That’s pretty much what Mr. FW and I asked each other in order to arrive at our homestead/financial independence plan–it’s amazing what you uncover when you really think through your answer :)! Also, I love your approach with your blog! In my opinion there is nothing wrong with having one’s life centered around her family. That, to me, is the best life to live! And much better than having life centered around oneself. And don’t worry, when you have that “empty nest” life will still be interesting and purposeful. You wipp still have a husband, children, grandchildren, pets, hobbies, friends, and much more. Though I am taking a bit of a hiatus from my blog currently, I look forward to writing about much more even though my children have been grown and married for a long time. Oh, I’m using my blog and freelancing activities to become a stay/work at home mom. What I meant was that I want something of my own. When I’m asked what I did that day, I’m OK saying “kept the kids alive!” But it would be nice to have something of “mine” that I get to bask in from time to time. You are a very gifted writer. I highly recommend you continue writing in whatever avenue you choose. On the fun side, you have a wonderful sense of humor, and on the serious side, you have a vocabulary that keeps me thinking! You are very articulate and your thoughts well organized. I encourage you to keep going, and once Babywoods arrives and you are homesteading, you’ll have that much more material and inspiration to write about. I’ll be first in line at your book signing! You’re too kind–wow! I’m honored! Now I’m seriously blushing ;). I appreciate you reading and sharing all of your awesome Vermont thoughts with me! Blogging is a super fulfilling outlet for us too. Like you, we mostly write for us, but wow do those comments make our day! And we love that a PF space is especially lively and supportive. We’ve blogged elsewhere before (with regular comments from Cat! Small world), and definitely did not see such rapid blog growth. So glad to hear you’ve had such a great experience with blogging too! And, the PF sphere really is an awesome group of folks. I’ve learned so much from everyone else in this field! I’d love to write full time! Or, at least in my increased time once I hit FI and no longer have to work. My sweet wife was not enthused that I wanted to start a blog almost 3 years ago: “You’ll run out of stuff to write about!” Now, she is the one being paid to write full-time. Ahhh, the serendipitous turns our lives take. Anyways as other have said. Mrs. Frugalwoods You really are a gifted writer… I enjoy reading your work very much and actively searching it out. On another note I will admit I’m happy to hear you are all thinking about alternative work schedules. I felt kind of bad when you said you wouldnt stop working early even with the baby. Why? well I think a lot of new parents don’t realize how much they are planning to miss out on when they plan to work that first year. I was really bummed about it because I wasn’t set up financial at that point so I guess I though what a shame since I felt you could at least consider it even if it did push out the date a bit… I feel that way I think because my mom was stay at home and I work and feel I miss out on a lot. I know not everyone can swing it because they didn’t plan for it but I really feel people who can should consider it. So I’m super happy to hear your family is. It’s definitely to the baby’s benefit 🙂 I think. The Roamer–thanks so much for your kind words! We’re still mapping out our plan for Babywoods’ care, but hopefully we’ll be able to come up with a solution that works well for us. 1500–I had no idea Babywoods would be arriving so close to your birthday! I’ll just append “1500” to the end of each name we’re considering. That should work out just fine ;). I love that Mrs. 1500 found that awesome writing gig–such a cool thing. And, I definitely look forward to reading more of your writing once you’re FI and living the life of writing leisure. I started blogging a month ago and I wholeheartedly believe in the power of writing things down. Well I don’t intend to make a career out of writing, I have found blogging has made me a more efficient and goal oriented person that has transcended into other areas of my life as well. Greatly enjoy your writing and you are very talented. Thank you! Writing helps me organize my thoughts and goals as well. It almost serves as a crystallizing force for me–it’s not real until I’ve written about it ;)! Glad to hear you’re enjoying the blog journey too! Cat is wonderful, she’s truly amazing in what she does. 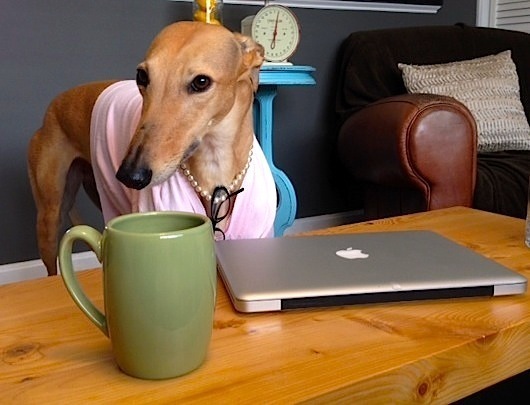 And I adore your writing, I’m always reading the fun things you’re doing and wonder how you get Frugalhound to sit still. It’s funny about knowing what you want to do in life. I think you know but at the same time don’t. I always adored writing and when I was young would write short stories. Sadly, I let it fade a bit but now I’m back at writing and I want to make it my career. I’ve found that sales just isn’t for me anymore. We’ll see where I end up. Thank you so much for your kind words! I think you’re right that discovering what you want to do is an ongoing learning process. And, that’s exciting that you’re planning to make a career from writing! I absolutely love your writing Mrs. FW & look forward to your posts! Since your writing serves as an outlet you love, as well as a love for writing to your audience it provides that mutually exclusive connection. I admire that! It’s amazing what creativity emerges when those that we love nudge us to pursue our passions. I can’t help but think a little bit about Thoreau’s “Walden,” and what type of writing you project once the whole FW family is on the homestead! You’re so sweet–many thanks! Very true that pursuing our passions often yields the greatest creativity and productivity output–it’s so much more fun and fulfilling to work on things I actually enjoy! Pretty sure I can’t hold a candle to Thoreau, but I do enjoy the thought ;). I just discovered your blog and I love it! You have a such a positive inspirational attitude. Thanks for sharing! Thank you for reading and commenting :)! I really appreciate your kind words, thank you! I discovered your blog through your comments in The Simple Dollar and quickly fell in love with your writing style, always witty, honest, and grounded. It is amazing what a difference one blogger can make in the lives of people that only need a small push and sense of direction. Keep up the excellent work and know that your writing is the catalyst to a better life for quite a few souls out there. Wow, thank you! I’m honored. I deeply enjoy sharing our story on here and it makes me so happy to hear that I can be helpful to others in the process. Many thanks for reading! This is so timely….lately I’ve been tossing around the idea of starting a blog and haven’t yet pushed myself to do it. Because I’m a fairly private person, I have some reservations of putting things out there that anyone can see. Do you have any recommendations on how best to maintain your privacy? That’s a good question! We are anonymous and don’t share our real names or photos of our faces, but, we do share many details of our lives. So, I definitely think it’s possible to write anonymously but still share your story. For me, sharing the details of our journey are what enriches my writing and I’m comfortable putting that info out there for the world to see. I think you just have to find the balance that you’re comfortable with. I wish you all the best :)! Thanks for your kind words! I took the plunge and started a site (itsakatelife.com). Writing has been far more cathartic than I expected – so nice to get those thoughts out of my head and written down! Well, you are definitely a gifted writer, so I’m so glad you enjoy writing here for our entertainment and motivation/education! 🙂 I definitely look forward to reading your posts. You write with a sincerity that is often lacking in the blog world. Most blogs (on any topic) don’t have that quality. Thank you so much, Laura! I really appreciate that :). I totally get what you mean–I technically “write” in my day job too, but it’s wildly unfulfilling and doesn’t allow me to plumb the depths of real writing. However, I’ve been really thankful for the technical and editing skills I’ve learned through my job. Even though it lacks creativity, that side of the writing process has served me well. I wish you all the very best in your journey to find your “thing”–I have no doubt it’s out there for you! I love your blog! I found it totally by accident–one day MY blog was getting extra traffic from someplace called “Frugalwoods” because you had mentioned my tiny little blog [blushes charmingly]. I used to dabble in writing fiction but honestly, I haved lacked the entrepreneurial spirit and follow-through. Which is why my blog gets like 33 visitors a day. Now that I am a part-time librarian and full-time home executive, time is the biggest issue. Big Brother will be in full-day preschool next year and Little Brother is on the waitlist for half-day mornings, which would give me three and a half glorious hours to myself EVERY DAY. I fantasize that he will get off the list and I will start writing more again. Writing Frugalwoods full-time is a neat idea! Daycare for a baby is so very expensive, whereas any money you make while you are at home and baby is sleeping (or, you know, strapped to your chest while you type standing up at the kitchen counter) is yours to keep. 3.5 hours to yourself every day sounds amazing! I hope he gets off the waitlist too! That’s some serious time right there! I’m really impressed that you balance work, home, and blogging–that’s a hefty workload. 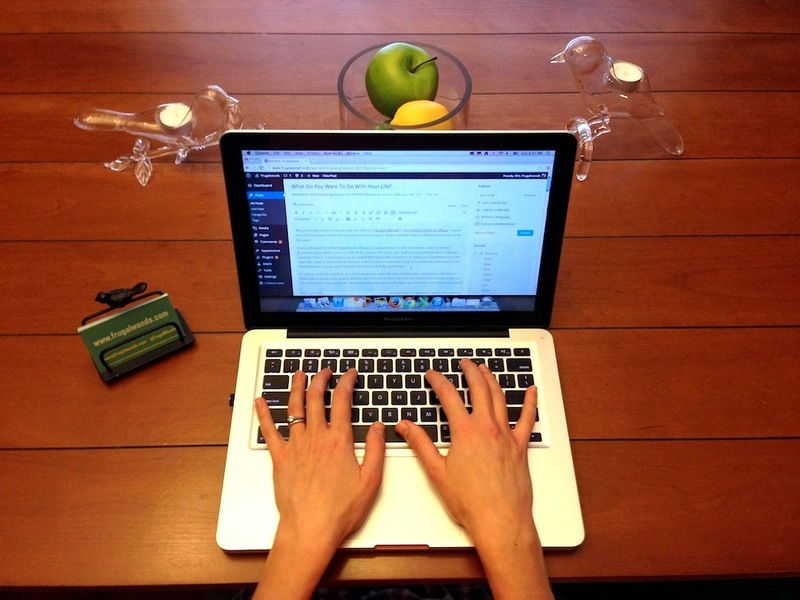 Ah, typing while breastfeeding–the holy grail of the work-at-home mom! Some moms can breastfeed hands-free with a carrier, which would permit counter typing, but I never got the hang of it. I spent a lot of time at the computer with a baby and the My Brest Friend* pillow, but generally just using the mouse and typing a few slow, awkward, one-handed words (doing Leapforce or in my online class). Sooo hard to predict how much you’ll be able to get done. So much depends on baby. Now that the kids are older,* I can squeeze in some work while they play together, while some moms of one tell me the kid expects to be played with all day! *Dunno how many babies at what intervals are in your plans, but if you’re curious about the back-to-back arrangement–mine are 16 months apart–it goes like this. First 8 months: Not that bad. Mobile baby to about 20 months–Insane. So hard. Survivable only with good-napping children and maybe a gym membership** or a little daycare. 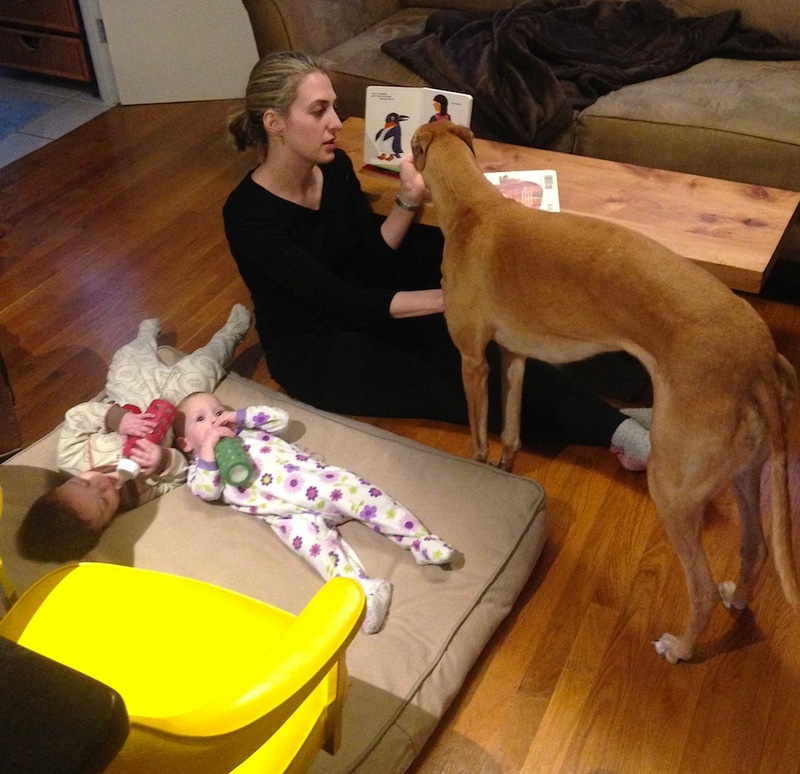 20 months on–Oh, look, they’re playing together! **I have spent much time drinking free coffee and using Wi-Fi in the lobby of the YMCA while the children played happily in Child Watch. Good to know, thank you! My sister gave me her old My Brest Friend pillow, so I’m armed :)! We’ll have to see how it goes. I’m all for encouraging independent play, so hopefully Babywoods will learn to entertain herself (and her future siblings) at an early age… fingers crossed! But it’s kind of fun. And a great creative outlet if I ever border upon feeling bored. I’m sitting in our rental apartment in Mexico City and when it’s raining outside, windows open, with a cool breeze floating in, I like to prop my feet up and sling a few words onto the page. I feel like Hank from Californication (without the alcohol, drug, and women problems). A cool dude sharing his sometimes useful or interesting thoughts with the world. And getting paid for something you enjoy is an even bigger bonus. You are totally a cool dude sharing interesting thoughts with the world! And, you’re so right, it’s the absolutely antidote to boredom. It’s just not possible to ever not have something to do when you’re a writer/blogger! 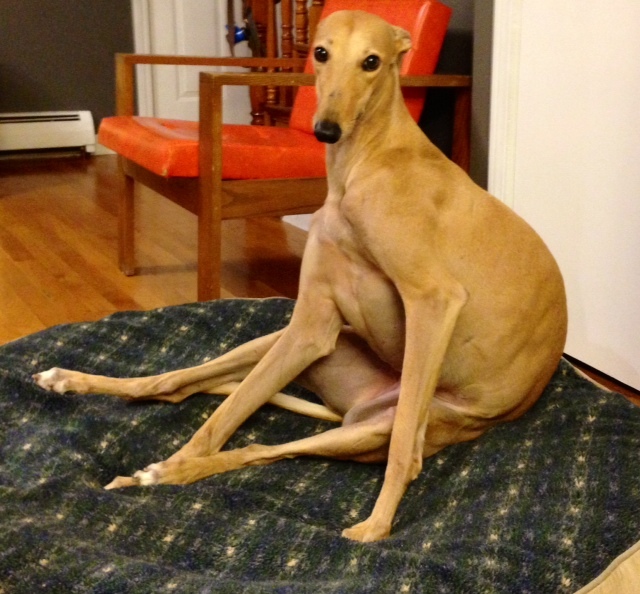 At the very least, I can always take more stock photos of Frugal Hound ;). I love Trello! I just discovered it a few weeks ago and use it to organize everything outside of my work tasks. Thank you so much, Julia! You are too kind! That’s exciting that you’re making big changes right now–I wish you all the very best!! I love reading about the path you guys are on. It is really inspiring to hear about the changes over the past year and how you are still focused on your goal. My partner and I are having our little bundle of joy in October, and it has certainly shown us how much work we have to do in order to get ready for our homesteading move on October 1st. What I love about reading your posts is that you share what your day to day is like in your frugal world. That is what really inspires me the most. It seems easy for people to tell you ‘what’ to do, but when they explain ‘how’ they do it, it really helps you see that it is possible. It’s hard to imagine the internet (and our happy hours) without you so glad you discovered a passion for it. I have discovered about myself that I love writing, but not really for other people. I think some day I’d like to write a humorous book loosely based on my life. At one point I thought it was a pipe dream, but now maybe not so much! Continued best wishes on your writing and homestead endeavors! Write it! I would buy that (maybe even at an airport)! Mrs. FW, blogging is definitely your calling. I dearly love it. The humor. The clear, well-educated, humorous prose with a single purpose is so inspiring. But I must say, my favorite part is the Frugaldog photos. You must always have a Frugaldog! Thank you so much, Linda! I really appreciate your kind words :). I agree, we’d be lost without Frugal Hound! I love how you were “forced” into it! I feel similar things about writing. It is a way for me to organize and better articulate my thoughts. I don’t know about doing it full time, but I’ll probably continue to do it on the side. Writing is definitely how I organize my thoughts–it’s much easier for me to write it than say it :). I’ve never commented before, but this post really hit home for me! I too got my B.A. in English, but then got so caught up in the rat race that my writing fell to the wayside. And although I have started some story ideas since I graduated, I quickly lose faith and momentum. I have been trying to write more blog posts recently, and when I do succeed, it makes a noticeable difference in my sense of well being. I love reading your insights on frugal living and meaning. Keep writing! So glad you commented and said hi :)! That’s exactly how I feel when I write a post–my well being is greatly improved! It’s amazing how cathartic the entire writing process is. Glad to hear you are doing more of it :)! BTW, you might find greater fluency using Dragon Naturally Speaking to dictate the initial version of your posts. I find my voice keeps up better with my thoughts than my fingers (even touch-typing). Inspiring! I am a senior and I just started a blog. It’s about seniorhood being the best chapter in our lives. One of the topics is senior frugality. Although I don’t have your writing talent or Mr FW’s ‘technical’ expertise or even Frugalhound’s good looks, I do share your enthusiasm for writing. I look forward to all of your posts. They are smart, funny and inspiring. I just don’t know how you manage 3 posts/week! Although I am 66, I am still constantly thinking about what I want to do in my life! Writing definitely helps me organize my thoughts on this….and other things! Thanks for all the great posts. It is because of you I got into blogging and it is a wonderful hobby for seniors! I will definitely check out Cat’s course……and Trello! It’s hard and life sucking, even if you enjoy your work. Life is so much better for our family since I scaled back, and we’re all happier, less stressed, and there’s less chaos/drama (well, fortunately no chaos/drama) in our lives. I’m sure whatever plan you both put together will be well thought out, as that is how you do things! Totally unrelated point- as I was in Costco this week, tossing Kirkland frozen pizza in my cart.., I thought to myself, “Fri night is pizza night at The Frugalwoods”. How funny??!! Thank you so much, Kim! I appreciate it :). And, thank you for your thoughts on the work/kid/home management balance. We’re still figuring it all out, so it’s helpful to hear from others about their experiences. And, you’re totally right, Friday night is Kirkland frozen pizza night at the Frugalwoods :)!! 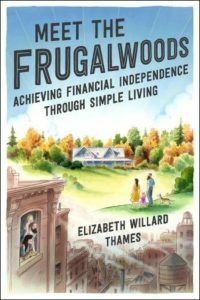 Frugalwoods, I like the way you write and your perspective in writing. It’s like whenever I read your post, I easily relate to it and it’s like you build rapport effectively and close relationship. It’s nice that you post more often because I always look forward to reading your post. I have definitely found my passion and calling in life helping others with their money, but I feel as though I stumbled on the whole writing thing. I never really enjoyed it until I started blogging two years ago and now I find that it’s a very enjoyable part of my life, and I love expressing myself through my blog posts. So glad that you have found your passion in writing!! I’m so glad you did discover a love for writing–I certainly enjoy reading your stuff! And, your passion for helping people with their money is positively inspiring. I love that you’re doing what you love! Writing is one of my dreams and one I am planning on taking a little more serious in the coming weeks. I’ve always loved to write, too, and wrote many a construction paper bound book when I was a kid. At my fifth grade graduation, we had to say what we wanted to be when we grew up, and my selections were professional swimmer and writer. I, too, was an English major, and I started a blog about a month into my marriage because I felt like I needed an outlet once I didn’t have schoolwork to do. Earlier this year, after the role I had held at my company was dissolved, I decided to try writing full-time as a freelancer. I found that, to make money, I was doing more marketing-type writing than the personal essays I enjoy best, and it was very different from what I expected. I’ve just started a new full-time job this week that I am really excited about, as it combines in some of my other passions as well, and I’m hoping to re-commit to my blog and potentially find some other paying outlets on the side. Because I DO love to write; it’s just that the work I’ve been doing didn’t quite press the right buttons to satisfy me! That’s wonderful you’re excited about your new job! I know what you mean about writing that’s not satisfying–that’s very much what my day job is. Although I do get to write everyday, it’s not terribly fulfilling or enjoyable. Glad to hear you’ve found outlets that fulfill you! consumeryousness. If its fun, keep writing– and thanks. Thank you so much, Mike! That’s really kind of you to say :). You’ve made my day! Hi! I found your blog when the Buy Nothing Project FB group posted a link to the Boston.com article about you (I’m in a Buy Nothing group in Washington and I LOVE it!!). I spent most of my weekend reading your posts. They are so interesting and I love your writing style! I’m a huge fan! ???? Very helpful post! I’m starting out as a freelance writer myself and I found this post to be very encouraging. Thanks a bunch! I am so excited to read your blog. I have thought for awhile to totally change my life because I feel spent and tired all the time. However, I am 63 years old and feel that if I don’t do it right away, I will never do it.